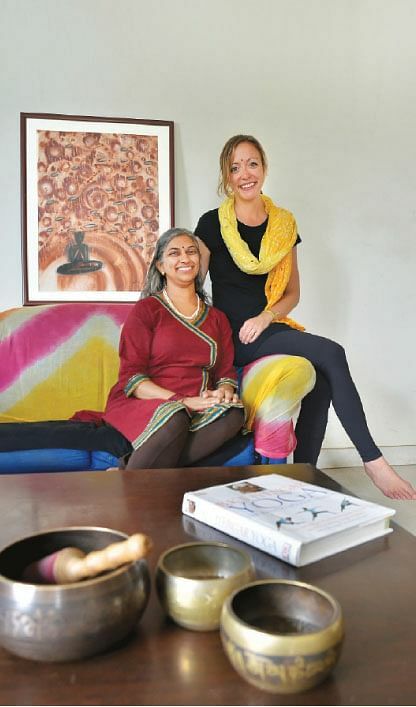 Sowmya Ayyar and Madeleine Sears, both born and raised in the US, were destined to have their paths cross and converge in India, thanks to yoga. Their organistaion Prafull Oorja is geared towards helping children with disabilities through yoga. The story begins in a quiet neighbourhood in Bangalore. Ayyar relocated to India in 2011 for a change of scene, and while working with a small consultancy firm that deals with environmental, water and mining issues, ran into a friendly child. She found him very different from other guarded children she had known, and later discovered that he suffered from hyperactive disorder. Ayyar, a certified yoga teacher with a master’s degree in yoga, domestic violence and environmental studies, approached the parents with an offer to help. In a fairly short span, through breathing techniques and poses that require stillness, Ayyar was able to teach the child self-awareness of how his mind and body were connected. Buoyed by her success, she reached out on Facebook to connect with yoga specialists interested in working with children with special needs. That is when Madeleine Sears, another yoga teacher from the US, with prior experience of working with adults with special needs, came into the picture. After connecting on Skype, they discovered that they had both graduated from California’s Santa Clara University, shared similar interests, and believed that yoga is a way to help people in need. Thereafter, Ayyar quit her job, Sears relocated to Bangalore and soon Prafull Oorja (meaning radiant energy) was formed. In the course of two years, they have helped over 250 children, improving their speech, motor and rational abilities, working closely with organisations like Tamahar Trust for Children with Special Needs and Bubbles Centre for Autism, to name a few. The duo shares an apartment in town and loves experimenting with food, while pursuing their individual hobbies and interests like travelling and reading. Ayyar likes quieter places like libraries and museums and misses her grandma. While Sears sometimes craves the solitude, and picturesque surrounding of her hometown at Salt Lake City, Utah. They hope to expand the organisation globally and also add art and music therapy to the concept eventually. ■ Structure is important for children, because they know what to expect next, but if the child is not in the mood, then the goal is to figure out what his or her need is. ■ The idea is to make it accessible for children, so rather than saying ‘move forward’, reach up for the stars is more appealing.